Jeffrey Wayne Tate was born on 14th January 1959, in Stuttgart, Baden-Württemberg, (then West) Germany, of part-German descent, and is a musician, and singer, best known to the world for being one of the founding members of Queensrÿche, a progressive metal band. He is also recognized for his solo career, releasing two studio albums – “Geoff Tate” (2002), and “Kings & Thieves” (2012). His musical career has been active since 1981. Have you ever wondered how rich Geoff Tate is? It has been estimated by authoritative sources that Tate’s net worth is as high as $10 million, as of early 2017, accumulated through his successful involvement in the music industry, not only through his career as a member of the band, but also as a solo artist. Additionally, he has also provided his voice in several video games, which has increased his net worth too. 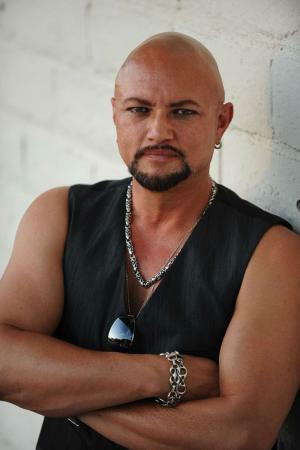 Geoff Tate was raised with two siblings by his father, Perry, and his mother, Ella. Although he was born in Germany, he spent his childhood in Tacoma, Washington, where his family moved after his birth. There he attended Wilson High School, from which he matriculated in 1977. Before Queensrÿche was founded, Geoff was a part of several bands, including Mob, Babylon, and Myth. With the Mob, he recorded a demo tape, and wrote lyrics for the song, which would turn out to be “The Lady Wore Black”, and sent the tape to several record labels. They also changed their name to Queensrÿche, and their tape was released as an EP by the 206 Records label. Soon Geoff and the rest of the Queensrÿche signed a contract with EMI records, and their EP was re-released. In 1984 the band released their debut full-length album, entitled “The Warning”, which reached No. 61 on the US Billboard 200 chart and achieved gold status, which only increased Geoff`s net worth and encouraged him and the band to continue to work together. Just two years later they released their second album, “Rage for Order”, which was a bit more successful than their debut accomplishment, reaching No. 41 on the US Billboard 200 chart, and also achieving golden status. Before the ‘80s ended, Queensrÿche released their third album, entitled “Operation: Mindcrime”, which spawned such hits as “Eyes of a Stranger”, “I Don’t Believe in Love”, and “Breaking the Silence”, among others, which helped album sales which eventually reached more than a million sold copies. The band continued successfully into the ‘90s, releasing one of their most prominent albums, entitled “Empire”; the album reached No. 7 om the US Billboard chart, while it achieved triple platinum status, increasing Geoff`s net worth by a large margin. The album featured such hits as “Silent Lucidity”, “Jet City Woman”, and “Anybody Listening”. In 1994 their next album came out, entitled “Promise Land”, and became their best charted album reaching No. 3 on the US Billboard 200 chart, and achieving platinum status. However, after the “Promised Land”, their popularity began to decline, and the albums “Hear in the Now Frontier” (1997), “Q2K” (1999), and “Tribe” (2003), were nowhere near the popularity of previous albums. In 2006 they lit the spark with the album “Operation: Mindcrime II”, and again in 2009 with the “American Solder”, which spawned the hits “I’m American”, and “Man Down!”, among others. Their last album, before Geoff was fired, came out in 2011, under the title “Dedicated to Chaos”, and it was one of their worst albums, reaching only No. 70 on the US Billboard 200 chart and sales of around 20,000. Following his dismissal from Queensrÿche, Geoff and his wife Susan, sued the rest of the members for the rights of the band. Until the suit was settled, Geoff performed under the name Queensrÿche featuring Geoff Tate, with Kelly Gray, Robert Sarzo, Rudy Sarzo, Simon Wright, Randy Gane, Jason Slater, Paul Bostaph and others that helped him record the album “Frequency Unknown” in 2013, which was released through Deadline records label. However, he lost the suit, and had to change the name of his band. He continued under the name Operation: Mindcrime, consisting of Kelly Gray, John Moyer, Simon Wright, Brian Tichy, Randy Gane and Scott Moughton. So far, he has released two albums “The Key” in 2015, and “Resurrection” in 2016, the sales of which have also added a considerable amount to his net worth. If to talk about his personal life, Geoff Tate has been married to Susan since 1996. Previously, he was married to Sue (1990-1996). He is the father of four daughters. In free time, he enjoys sailing and motorcycling. 1 I sure feel sorry for a band like Guns and Roses. Their success came so quickly that they barely had time to adjust to it... All that sudden fame will be unbearable... I would much rather be rich than famous. 1 During a 2001 Queensryche concert, a fan, as a joke, requested that Tate sing the theme song from The Mary Tyler Moore Show. Tate did so, garnering surprisingly raucous cheers. The song then became a regular feature during the band's concerts until Tate's departure eleven years later. 2 Has a 4-octave vocal range. 3 Shares a birthday with Zakk Wylde and Dave Grohl. 4 Singer with metal band Queensryche. 6 Children: daughter, Sabra born September 1984, daughter Isabella Blu born in September 1995, daughter, Emily Rowan born May 12, 1997 at 7:59 am, step-daughter Miranda. 7 Graduated Wilson High School in Tacoma, WA in June 1977. 8 Siblings: 2 younger sisters, Amy & Perri Ann. 9 Parents: mother Ella, father Perry. The Adventures of Ford Fairlane 1990 writer: "Last Time in Paris"